A documentary exploring hiphop's place in academia and following Grammy Award winning producer 9th Wonder's year as a Harvard Fellow! 525 backers pledged $29,202 to help bring this project to life. The Harvard Fellow follows one of hiphop's most dynamic artists, 9th Wonder through a year of lecturing and research at Harvard University. While at Harvard, 9th will have an office on campus, teach a class on the history of hiphop, complete a research project and further explore hiphop's history and culture in an academic setting. In November 2011 we screened our first film The Wonder Year at Harvard University. After the screening 9th was asked to apply to become a Harvard Fellow the following year. In March 2012 he received the acceptance letter to the program and the concept for the second documentary began to take shape. Part of 9th's requirement as a Harvard Fellow is to complete an academic research project that will be placed permanently in the Harvard Library. For 9th's research project titled "These Are The Breaks" he will be researching the original records that created his top 10 produced albums. For example, 9th will track down all the original records that were sampled to create the ten tracks of Nas's Illmatic. Those records will then be catalogued and archived in the permanent collection at Harvard. While record digging we will meet with the producers who helped craft these classic albums. The albums are: Dr. Dre "The Chronic," Nas "Illmatic," Jay Z "Reasonable Doubt," Little Brother "The Minstrel Show," A Tribe Called Quest "Midnight Marauders," Ghostface Killah "Supreme Clientele," Slum Village "Fantastic Volume II," Kanye West "The College Dropout," Jay Z - "The Blueprint," and Raekwon "Only Built 4 Cuban Linx." The film will explore hiphop's place in an academic setting and why it is important to protect and archive its history. 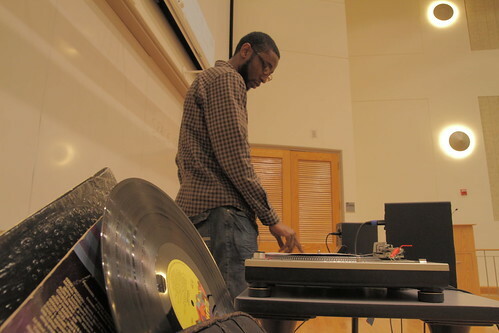 There has never been an active member of the hiphop community who has spent a year immersed in the the study of hiphop at an Ivy League school like Harvard University. Making this film will allow audiences around the world to experience this important academic and cultural journey alongside 9th Wonder. The money raised from this Kickstarter will go towards purchasing film equipment, mixing the film, travel expenses and film festival submission fees. Even with a small crew the cost of filmmaking quickly adds up and with your help we can create a professional film at a relatively low cost. But we need your help! The digital download of The Wonder Year will be the entire 78 minute film in HD quicktime format. Perfect for downloading and watching on an iPad, Laptop or streaming to your TV! Synopsis: A year in the life of CEO, NAACP ambassador, Duke University professor, husband, father, son and Grammy Award winning producer 9th Wonder. The film follows one of soul music's most dynamic figures from his childhood home to late nights in the studio and everywhere in between. Featuring: Drake, DJ Premier, DJ Green Lantern, J. Cole, Murs, Phonte, Sha Money XL, Young Guru, The Alchemist & more. 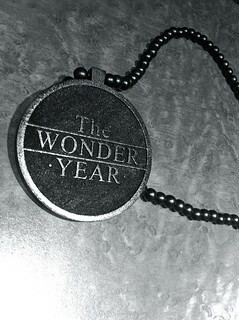 The Wonder Year will come in a standard color DVD case, with a color printed DVD. The DVD includes the entire 78 minute film along with the bonus video for 9th Wonder - “Make it Big” featuring footage not seen in film. This is a custom medialian made exclusively by Woodville Inc. The piece is entirely black with the film's logo etched into the front. This grants you an associate producer credit on the documentary! Your name will be featured during the opening credits of the film as well as on the film's IMDB page. You'll get exclusive updates on the film's progress and be the first to know of upcoming screenings and events surrounding the film! Exclusive 9th Wonder beat custom made for you! This is the biggest reward we're offering! It is your chance to get your hands on a custom original beat exclusively for you from a Grammy Award winning producer who has worked with JayZ, Destiny's Child, Drake, Mary J. Blidge, Ludacris and more! 9th will make the beat live on Ustream and then the beat is yours to use on an album or mixtape. Our eternal gratitude for helping us produce “The Harvard Fellow” + You'll get regular email updates about the film + Your name will appear on our website's "Thank You" list. You’ll get ALL OF THE ABOVE + Special Thanks in the film credits to “The Harvard Fellow” + Early access to bonus footage before the film is released. You'll get ALL OF THE ABOVE + A DVD of “The Wonder Year” (Includes U.S. Shipping) *Add $15 to donation for Int'l Shipping. 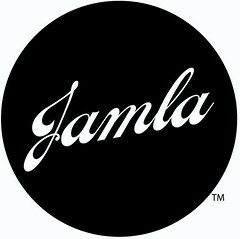 You'll get ALL OF THE ABOVE + The Best of Jamla DVD Collection autographed by 9th Wonder & Kenneth Price (Includes U.S. Shipping) *Add $15 to donation for Int'l Shipping. You'll get ALL OF THE ABOVE + A limited edition wood pendant necklace of The Wonder Year handmade by Woodville Inc. (Includes U.S. Shipping) *Add $15 to donation for Int'l Shipping. You'll get ALL OF THE ABOVE + an Associate Producer credit on “The Harvard Fellow” to be displayed in the opening credits (Includes U.S. Shipping) *Add $15 to donation for Int'l Shipping.